Jared Spool gave a great talk about design metrics, including which ones are meaningless. He also spoke about how incorrect assumptions are often made when looking at the data. 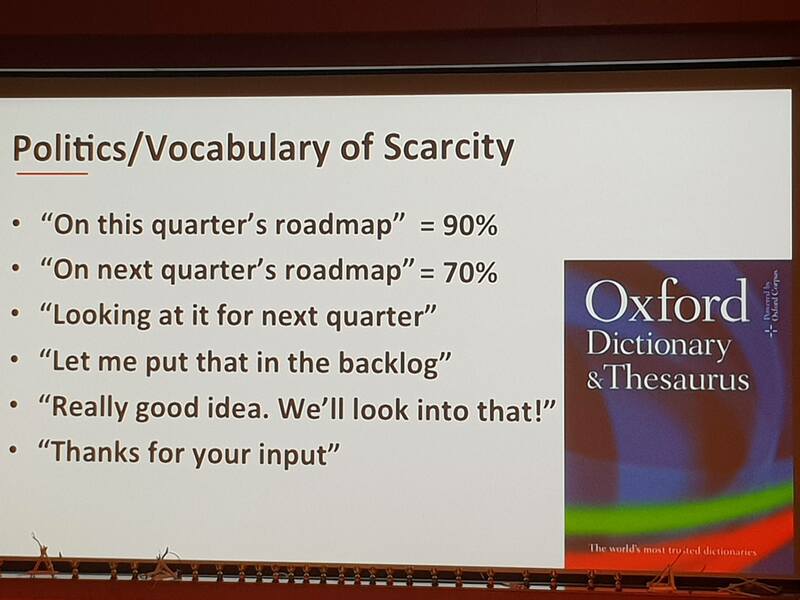 One example was the obsession with conversion rates, and the difficulty of persuading people that increasing your conversion rate can decrease profits. 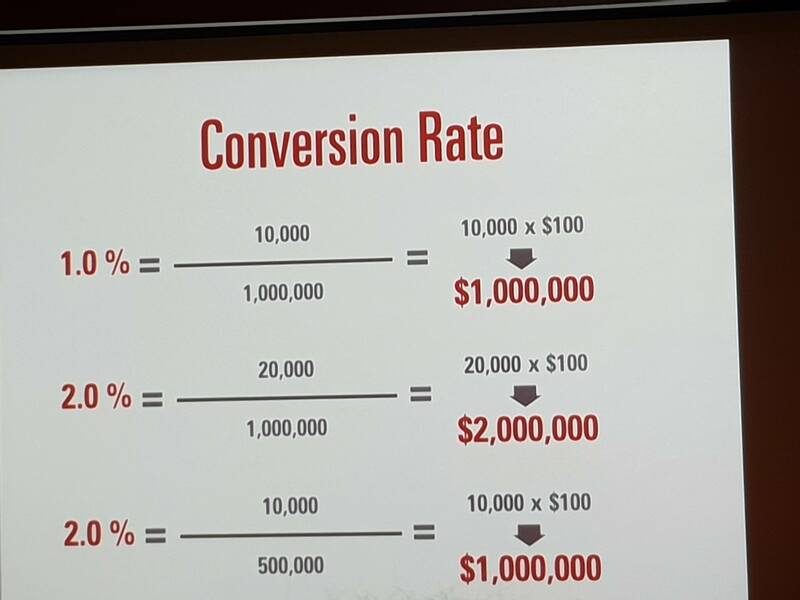 If you stopped all marketing efforts your conversion rate would increase (only a small group of your most loyal customers would find you) but you would have less customers. Rahul Vohra showed us how he increased his customer base by ensuring product market fit. He did this by using a simple questionnaire that asked new customers how disappointed they would be if they could no longer use the product. 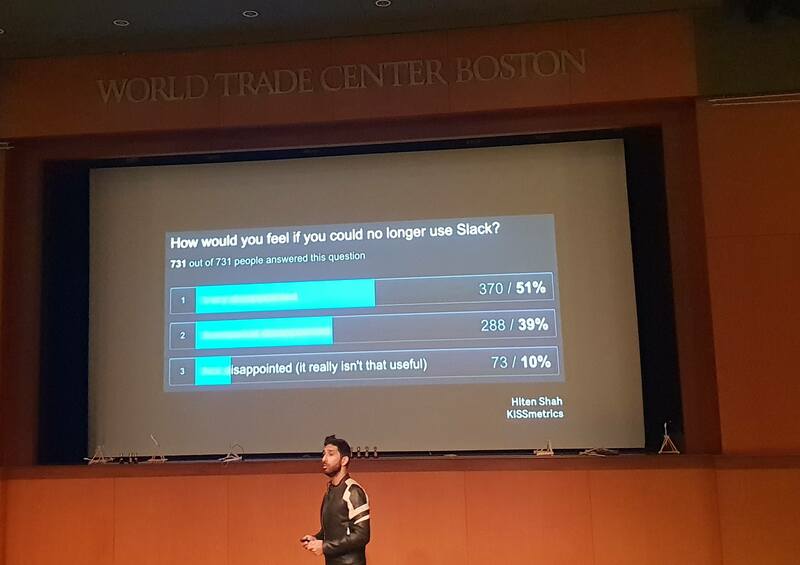 He also explained how to use the responses to focus on building the most useful features. 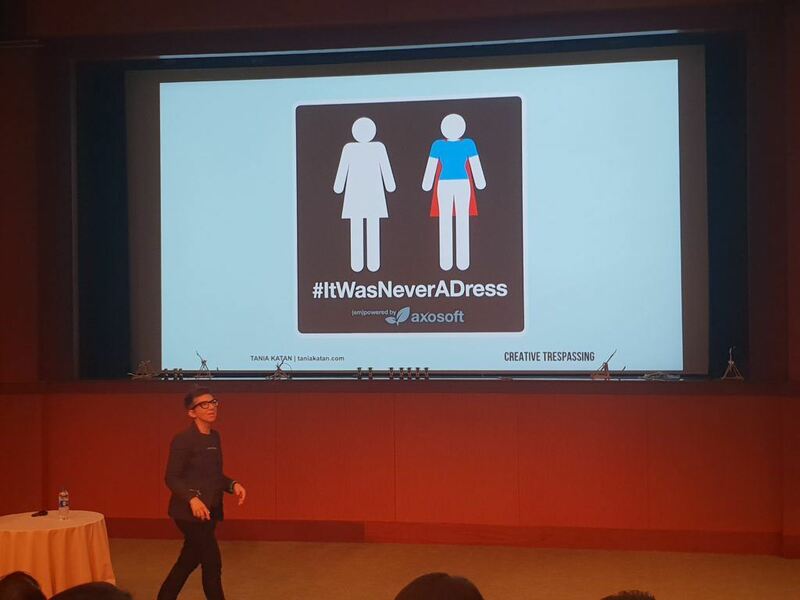 Tania Katan gave a talk about how to sneak creativity into the workplace. One example she used was her small cubicle office and how she brought in an artist to make her small box-sized office a creative space. Her talk included an exercise where everyone had to think of a limiting space or belief and write for 5 minutes about all the ways it could be overcome. Doing things like this can force you to think in a different and more creative way and come up with creative solutions. 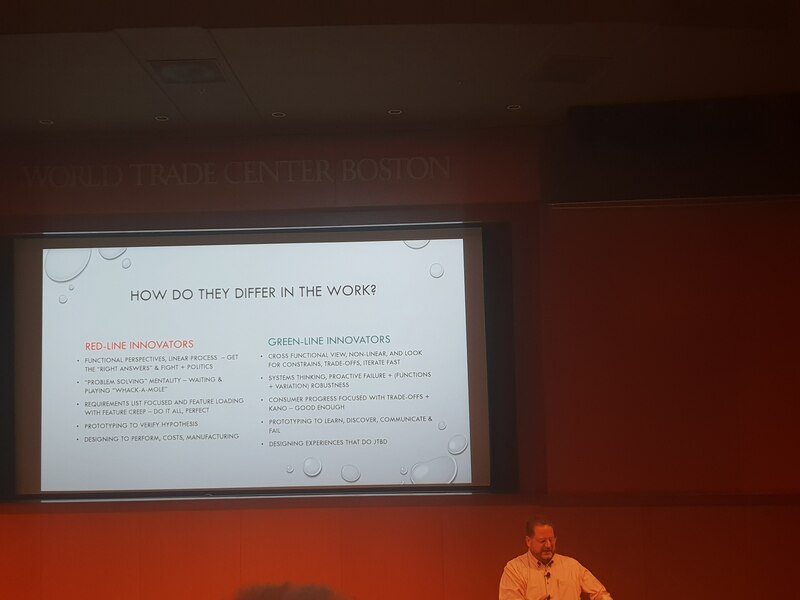 In both his talk and his workshop, Bob Moesta spoke about the differences between ‘features’ developers often talk about and what people actually want to achieve. The example in his talk was that a bottle cap is an object while sealing in water is a function. Function-oreinted systems are more useful because they are focused on the actual value the object provides. The root cause of someone’s behaviour should be your focus. These are only a fraction of the takeaways I got from the talks at Business of Software, among all the other new ideas I got from talking to lots of interesting people in between the talks. Were you at BoS? Let us know your takeaways in the comments.